BOSTON, Mass. /Massachusetts Newswire/ — On Friday, Mass. 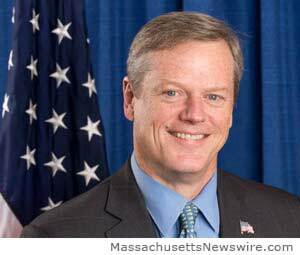 Governor Charlie Baker announced the appointment of Paul Sagan to chair the 11-member Board of Elementary and Secondary Education (BESE). Among other duties, Sagan will spearhead the Board’s effort to solicit public input on the Commonwealth’s upcoming choice between two alternative statewide student assessments, Partnership for Assessment of Readiness for College and Careers (PARCC), and the Massachusetts Comprehensive Assessment System (MCAS). “Paul Sagan brings decades of executive and philanthropic experience to the Board, but more importantly, a deep commitment to expanding high quality educational opportunities for Massachusetts’ students, especially in our highest need communities,” said Governor Baker. Mr. Sagan will replace BESE Board member Karen Daniels whose term expired in January. Outgoing Chair Margaret McKenna will remain on the Board; her term expires in 2019. The Governor has asked the new Chair to schedule not fewer than five public hearings around the Commonwealth, starting in June, to solicit public comment from local officials, educators, employers, parents and students, specifically on the implementation of the PARCC tests this spring and the impact of Common Core and PARCC on curriculum and instruction. In addition, the Governor also directed the Secretary of Education to convene an independent advisory group of researchers to assist him in analyzing and synthesizing the relevant studies and to design and oversee additional data collection needed to fill in gaps in the existing research, especially with regard to the predictive validity of the two competing tests. Sagan is an Executive in Residence at General Catalyst Partners in Cambridge, MA. From 1998 until 2013, Paul Sagan was a member of the executive team of Akamai Technologies, Inc., a leading Internet services company based in Cambridge, where his responsibilities included serving as CEO, president and chief operating officer. Prior to joining Akamai, Sagan served in various executive positions at Time Warner Cable and Time Inc., where he helped to found several Internet businesses. Sagan was also a senior advisor to the World Economic Forum, and he has served on the boards of numerous advisory panels and educational organizations including for the Massachusetts Institute of Technology, Northwestern University, the Alliance for Business Leadership, Massachusetts Business Leaders for Charter Public Schools, and the National Security Telecommunications Advisory Committee. In addition, Sagan is a director of three public companies with headquarters in Massachusetts: Akamai, EMC Corp. and iRobot Corp. In addition, he is a director of VMware, Inc. He received his Bachelor of Science from Northwestern University and was a Fellow at the Shorenstein Center at the Harvard University Kennedy School of Government. Sagan is a resident of Cambridge. The mission of the Massachusetts Board of Elementary and Secondary Education is to strengthen the Commonwealth’s public education system so that every student is prepared to succeed in postsecondary education, compete in the global economy, and understand the rights and responsibilities of American citizens, and in so doing, to close all proficiency gaps.